"Devotee does not make any bargain with Kṛṣṇa, that 'Kṛṣṇa will give me this benefit; therefore I have become pure devotee.' That is not devotee. He is a merchant: 'You give me this price. I will deliver this clothing.' That is not devotion. 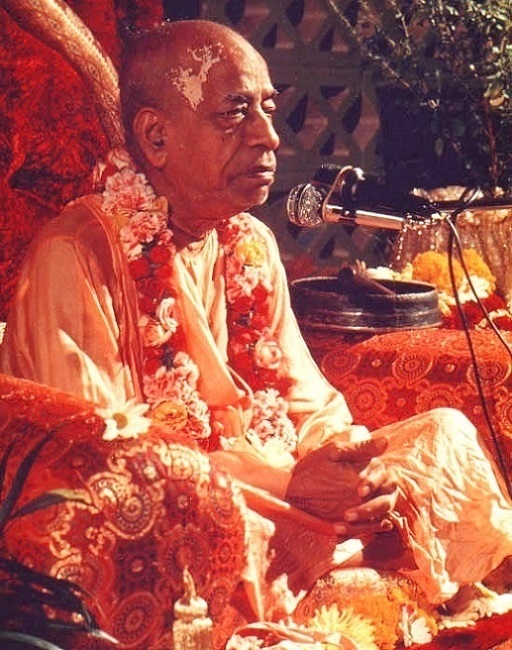 Āśliṣya vā pāda-ratāṁ pinaṣṭu māṁ marma-hatāṁ karotu vā: 'Any condition, I am Your slave. Whatever You like, You can do with me.' That is the sign, not that 'If it is favorable to my idea, then I accept You.' That is not devotion. Anyābhilāṣitā-śūnyam, no desire. The only desire: 'Please accept me as Your eternal servant again.' Bhaktivinoda Ṭhākura sings, mārobi rākhobi jo icchā tohārā: 'Now, if You like, You can kill me; if You like, You can keep me. Whatever You like, I am prepared.' Mārobi rākhobi jo icchā tohārā. That is surrender."